Changelog for 2.55 on GitHub. This reduces the package size to 35MB. Split: The enemy splits into other enemies when hit by a specific weapon type. Summon: The enemy summons other enemies when hit by a specific weapon type. Bomb Explosion: The enemy dies in a normal bomb explosion. Superbomb Explosion: The enemy dies in a super bomb explosion. Harmless Explosion: A purely visual superbomb blast that does not hurt Link. Fixed a bug in the Easter Egg for Lüt in 1st.qst, and added his init ZASM to 2nd.qst. 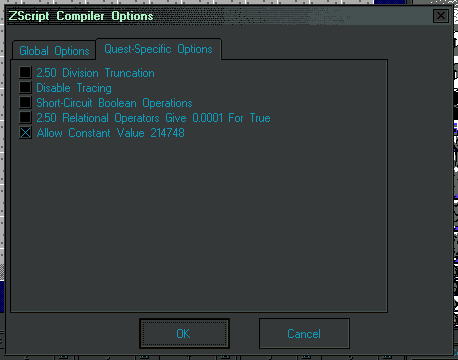 Added a compatibility rule for pre-2.50.2 Bitmap draw offsets (so that the user can manually enable this bit; see Quest 744). 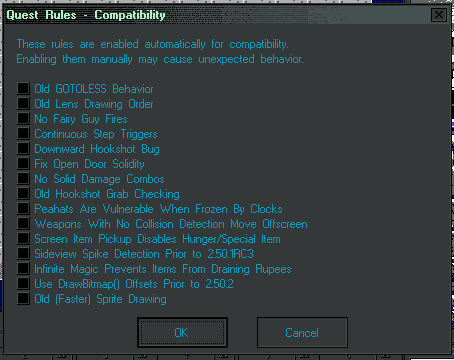 Added a compatibility rule for pre-2.50.2 Bombchu behaviour (see HeroOfFire quests). Added Sprite Script to the item Editor. 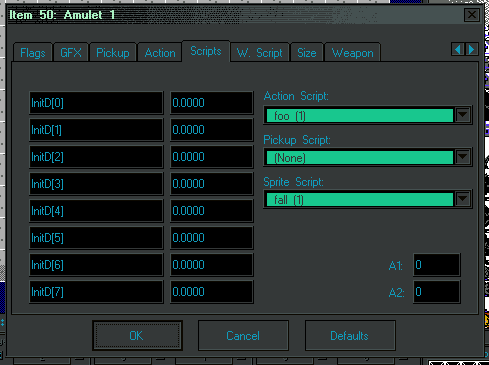 For now, it shares its InitD with the Item Action, and item Collect scripts. You can now set multiple #include paths. You can now change the identifier of the run() function. 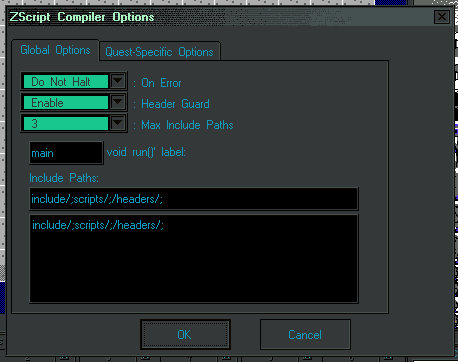 You can now set a variety of compiler options and flags. e.g. Enable Non-halt error logging. Adds sprite scaling and rotation options to ZScript. Adds the itemsprite script type. Added item->Script, to set the sprite script for items. Added npcdata->GetName(). This works in the same manner as npc->GetName(), but you need not spawn an npc to use it. Added this pointer for hero script and screendata script. This is faster (fewer ZASM instructions) than while(!value). 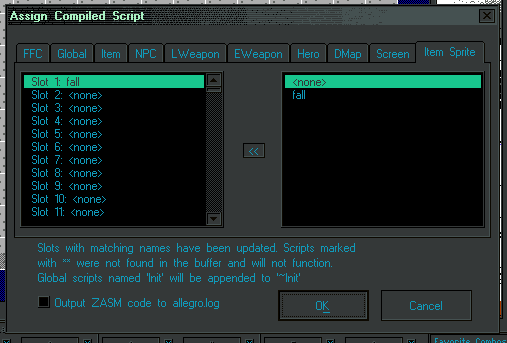 The parser now has options not to halt when reporting script errors, so that you can view a list of errors at one time. The parser now supports the standard C-style #include directive, with automated header guards. Added a flag that allows using 214748 as the max literal, instead of 214748 . My global scripts aren't working anymore when I transferred my quest over. I'm very indifferent to how you changed Zscript compliers in this version and alpha 16. I'm simply just not used to it. And I'm not sure if I'm willing to continue to commit myself to keep updating to new alphas that come out so frequently. In what way have they broken? 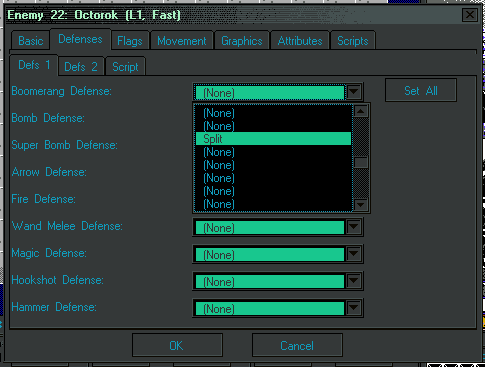 I have yet to encounter a script that operates differently in 2.55 in a way that affects gameplay. you can disable newer features in the compiler if needed, but we'd need to know what specifically you mean. Also, copy ./include/std.zh over the file std.zh in the base of the ZC path. I put the wrong in the Zip. I'm not sure what that means, but I think that could be a solution to my problem. And and if you wanted to know the specific scripts. It's Moosh's Pit Script and the Pegasus Boots Script. Edited by a30502355, 12 April 2019 - 08:40 PM.